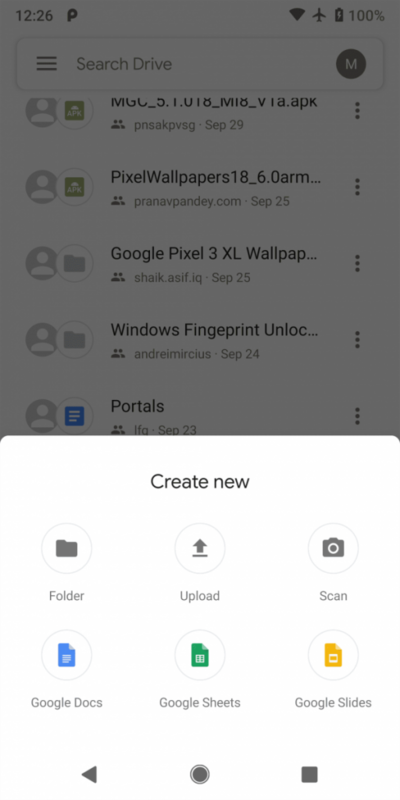 Update 1 (3/12/19 @ 4:28 PM ET): Google Drive’s new Material Theme redesign will roll out next week on the Google Play Store. More details below. The original article follows. At this year’s Google I/O developer conference, Google unveiled the Material Theme tools to aid developers in designing UIs that match their brand while incorporating elements of Material Design. 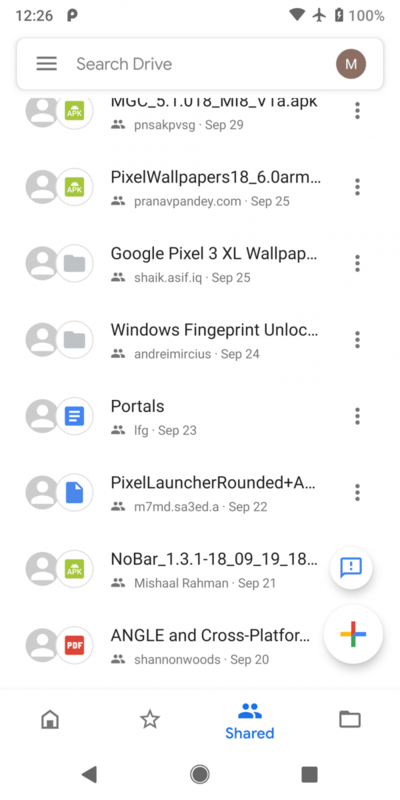 Google’s own Material Theme design makes liberal use of light colors, cards, and rounded corners. 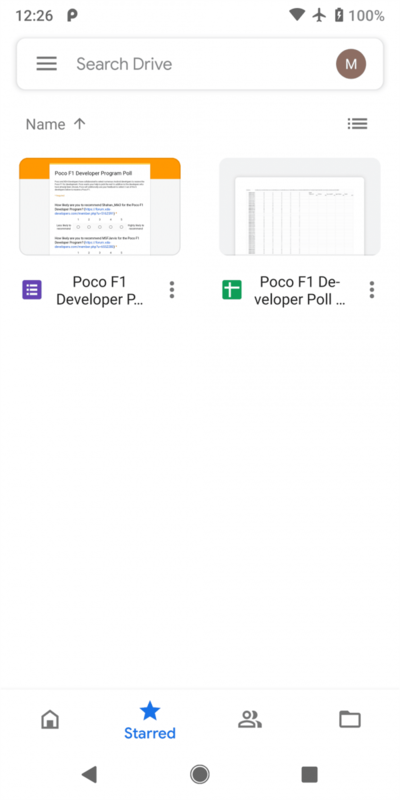 So far, Google Calculator, Google Photos, Google Chrome, Android Messages, Google Phone, Google Contacts, and Google Calendar have received updates with new Material Theme redesigns. Google teased the upcoming redesign for Google Drive, and now we have our first hands-on of the latest design for the Drive app. First, here’s what the app currently looks like. 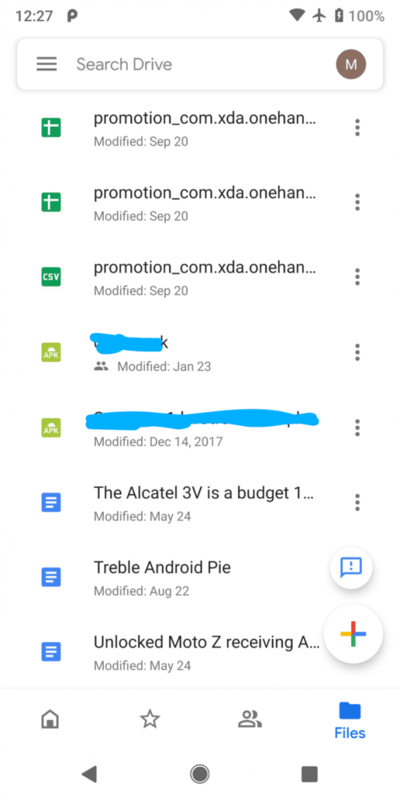 When you open the app, you’re shown the “My Drive” tab with Quick Access to your recently opened files, any Folders you’ve created, and all the files you have uploaded. You can upload new folders, files, or scan to create a new document by tapping on the floating action button (FAB). 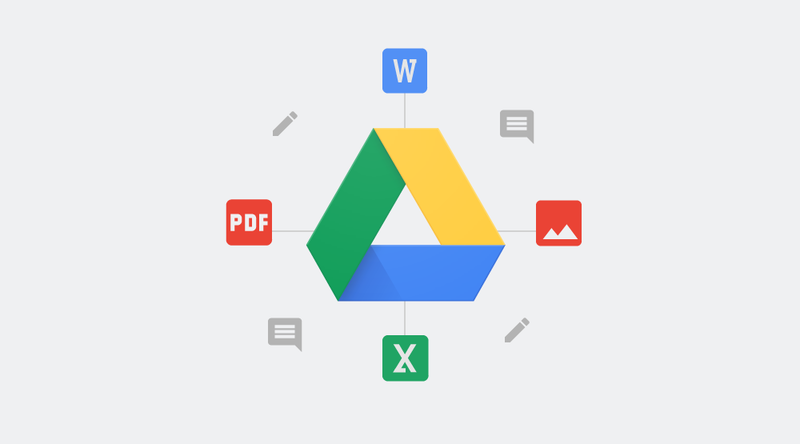 You can also create new documents in Google Docs, Google Sheets, and Google Slides from the FAB menu. 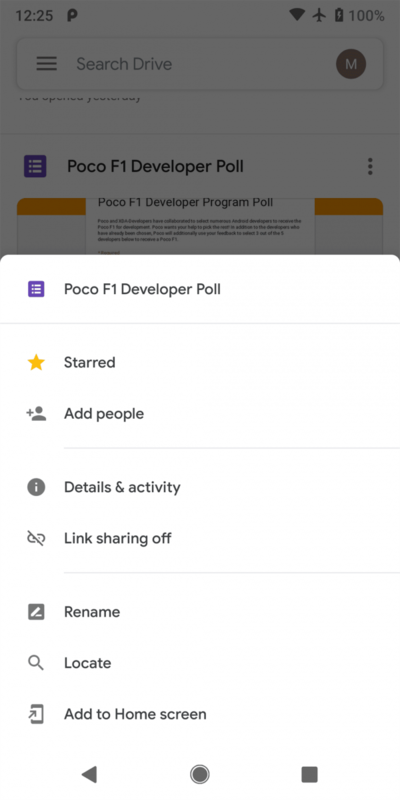 You can tap on any file to view its details, add people to collaborate, share a link, download the file, favorite it, etc. As expected, the new design, discovered in collaboration with XDA Recognized Developer Quinny899 (Kieron Quinn of MightyQuinnApps), simplifies the user interface. While there’s still a sidebar you can access, the most important menus can now be accessed from the bottom bar. In the “My Drive” view, your files shown in a single column rather than two. The file details screen no longer shows toggles—instead, you toggle link sharing, starring, etc. by tapping on the menu item. Lastly, you can now change accounts by tapping on the account bubble in the search bar rather than opening the sidebar. 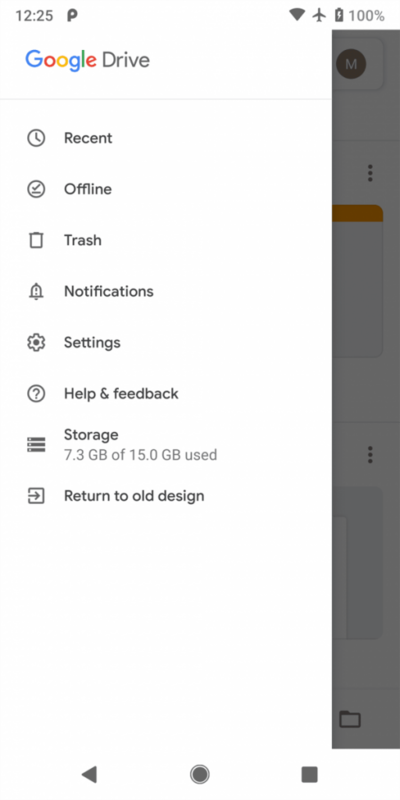 Google Drive’s Material Theme redesign is available in the latest version of the Drive app, but it is not being rolled out to users at the moment. We activated the new design to see what it would look like. Once the new design begins rolling out to users, we’ll let you all know. Special thanks to PNF Software for JEB Decompiler, which we used to aid us in this app teardown. 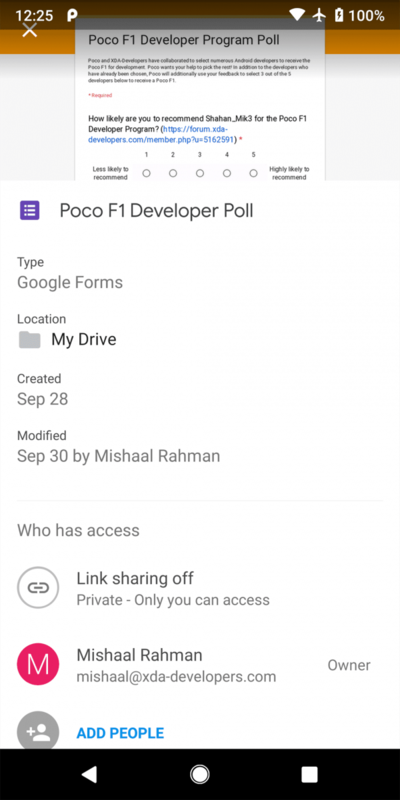 On the GSuite blog, Google announced that the Drive app is getting a Material redesign on both iOS and Android. The redesign rolls out for iOS users starting today and Android users starting March 18th. 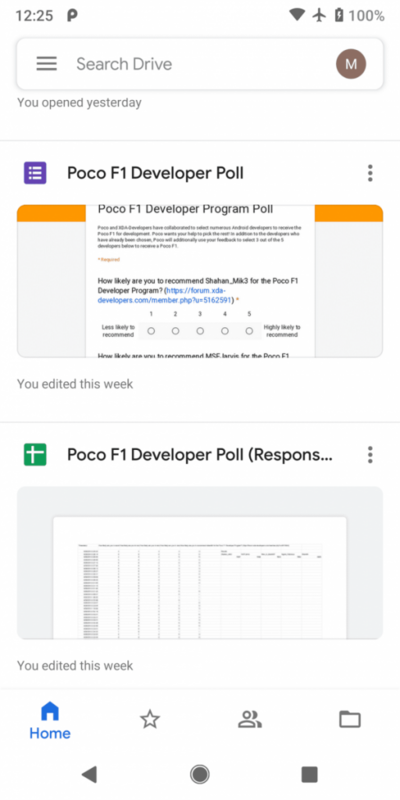 In the blog post, Google highlighted some of the improvements, the new home tab and bottom navigation, the expanded search bar, a new account switching interface, a revised actions menu, and a revamped Files view.